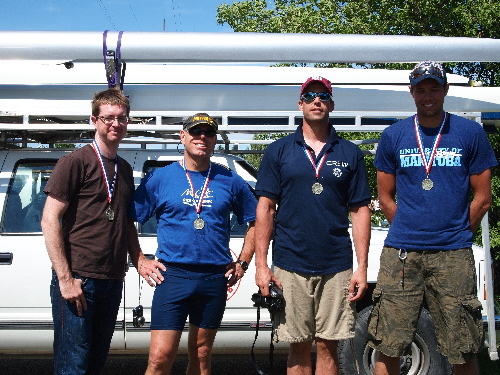 David Drewes, Vic Bartel, Dave Cooke and Mark Zwaagstra raced to first place in the Masters Mens quad last weekend. The group of WRC rowers made the trip to Saskatoon, SK to participate in the Prairie Championship Regatta. Great job guys!